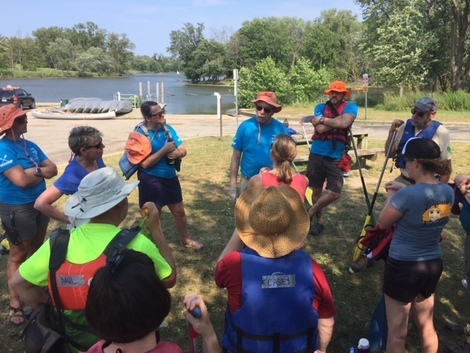 History buffs and paddling enthusiasts took to the Skokie Lagoons recently in a special canoe outing that explored the origins of the man-made ponds. Friends of the Chicago River canoe guide Tom Judge described the history of the lagoons, going back some 14,000 years ago when the warming planet left marshes behind. Native Americans later hunted and fished in the area. 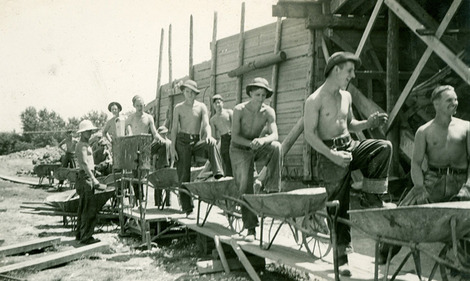 In 1933, the Civilian Conservation Corps, created by President Franklin D. Roosevelt to put unemployed men to work and build the nation’s infrastructure, started construction of the Skokie Lagoons. It was the largest CCC project in the nation, thanks to the influence of Harold Ickes, a Winnetka resident who was Roosevelt’s Secretary of Interior. During the paddle, two other Friends of the Chicago River guides read aloud historical accounts written by former CCC workers. “The $25 sent home to my family kept them afloat. Without it, we would have lost the family farm,” according to one account. Another related how the CCC workers from rural areas would play tricks on those from the cities, such as sending them on hunts for the mythical snipes. “Mostly we learned to take pride in our work. In those days, there wasn’t much to take pride in,” said one. About 4 million cubic yards of soil was excavated and many of the trees seen at the Skokie Lagoons today were planted by the CCC workers, said Judge. The project was completed in 1942 but in the late 80s and early 90s, another million cubic yards of sediment was removed as well as some 40 tons of invasive carp. Today, noted Judge, the lagoons provide recreation for thousands every year, either on the water through padding and fishing, or on its banks where parks and paths have been built. The Skokie Lagoon history paddle on Aug. 5 attracted people of all ages and skill levels. Though the temperatures were in the 90s, a breeze offered some relief. 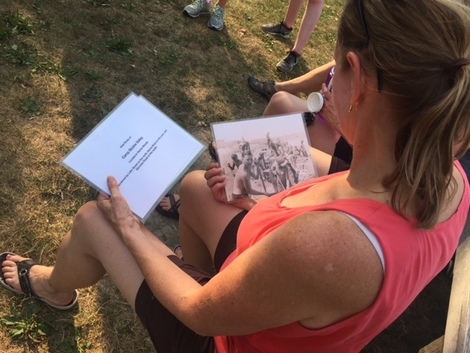 In addition to a history lesson and some exercise, participants got a glimpse of wildlife such as painted turtles sunning themselves on logs and magnificent great blue herons soaring to tree tops. Friends of the Chicago River, a nearly 40-year-old non-profit environmental membership group, has done extensive restoration work in the area removing non-native plants and replacing them with native vegetation conducive to wildlife. The group also offers a number of guided paddle trips around the Chicago area, including custom trips for parties of ten or more. For more information on paddling, see chicagoriver.org.